Amanda Haughs (@MsHaughs) teaches fifth grade at Forest Hill Elementary in San Jose, California. 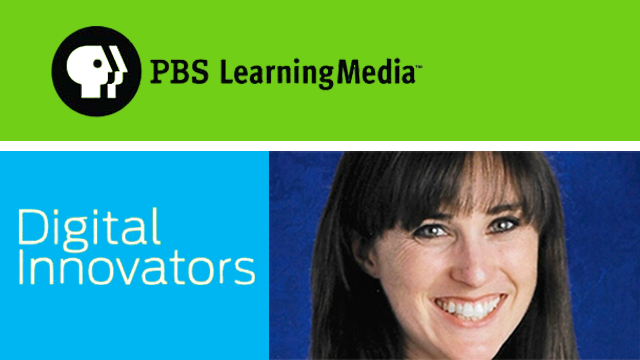 She is also a 2015 PBS Digital Innovator. The best part of her job is watching students get excited about learning and being able to witness the “A-ha!” moments. She is passionate about finding the tool, strategy or subject that each student needs in order to feel inspired and motivated to learn. Amanda recently used PBS LearningMedia and a 3D printer to teach plant and animal cells. Share your PBS LearningMedia stories here. How are you using PBS LearningMedia? This Nova article provided background information on how 3D bioprinting could alleviate organ shortages. Students did a close reading of the article. This video segment from Design Squad features the work of Howard Pryor, a tissue engineer and doctor at Massachusetts General Hospital. Dr. Pryor demonstrates a device he is working on to replace diseased livers. He explains the challenges of artificially engineering a human organ, including getting blood to flow through a device for processing just as it would through a liver. He also details the design process. Students viewed video, then wrote a summary. for the Frankenstein, M.D. Show. Sign up for a free PBS LearningMedia account to search, save and create interactive experiences.